We’re approaching that time of year when we have one eye on the finishing line with the promise of some rest and renewal just over the horizon and the rest of our attention focused firmly on getting through our ever-growing list of work and personal to do’s. We can sense that our stamina is being tested and our reserves of energy, patience and tolerance are running critically low. So what can we do to build our personal resilience and set ourselves up not just to survive, but to thrive as we move towards 2018? We believe that the greatest gift we can give to ourselves this holiday season is to understand that we really are in the driving seat of how we use our amazing brains. In ‘The Mind & The Brain’ Dr. Jeffrey Schwartz makes a compelling argument that we are NOT at the mercy of genetically-predetermined brain activity. His research suggests that you play an active role in influencing brain function by deciding where to focus your attention. This is called ‘Self-directed Neuroplasticity’ and it is our ability to change our brain. 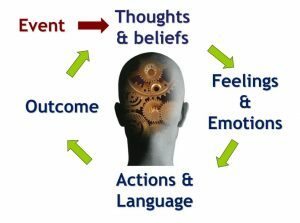 Neuroplasticity determines that we are continually shaping our brains as a result of where we put our attention, what patterns of thinking and behaving we are practising and how we are experiencing our emotions. These become the foundations for developing or draining our resilience. “The more you rewire into your brain skillful, resilient patterns of coping, the more competent your brain becomes at the task”. Linda Graham, Bouncing Back. We wire our brains through what we do and don’t practise. Self-awareness becomes the key to noticing and choosing what is helpful to us. Events, in and of themselves, are neutral, it is how we react or respond to them that determines the results we get. For example, a relative who has been pushing your buttons for years says something inflammatory. You can choose to react angrily, releasing cortisol and adrenaline that will fuel additional negative stress, or you can choose to STOP, notice what’s happening in your body, notice what’s happening with your thinking (meta cognition), breathe (transferring processing from the emotional centre of our brain to the rational centre) and, choose to “Let it Go”. We finally get the time to kick off our shoes, get comfy on the couch and either catch up with the news or watch a good film. Stop for a moment and pay attention to your media diet. Are you savouring inspiring and uplifting golden moments or are you reaffirming how bad the world is with dire news and what Clare calls ‘bang bang, dead dead’ films? Our brain is like Velcro for bad news and Teflon for good. From evolution, we are programmed to default to the negative (we have 5 times more neurons looking for bad than good) and we need to be mindful of this tendency and choose to balance the mix. We can do so by consciously savouring positive experiences and seeking out feelgood stories and films which help us to produce dopamine and serotonin, our happy hormones. Simply becoming more aware and mindful of our thinking and emotions, we can interrupt habitual responses and choose to be in the moment, to be present. Much negative stress arises out of ruminating about the past or catastrophising about the future. We become overwhelmed with today’s priorities and what still needs to be done. If we are mindful, we can notice when our mind wanders into the past or future and gently bring it back to focus on the present. When we do this, we bring our body and mind back to balance (homeostasis) and release the hormones that counter-balance negative stress. 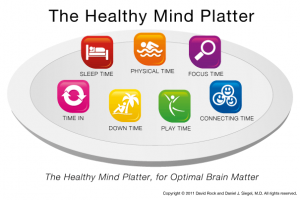 This concept, developed by Dr David Rock and Dr Dan Siegel, shows us how to balance our lives for a healthy brain and body. Don’t worry, it’s not a replacement for the poultry and seafood! Click on the image to find out more. We live in a world of permanent partial distraction and we pay a price for doing so. For example, when our mobile phone is vibrating in our pocket, we make 28% more errors (Stothart, Mitchum & Yehnert 2015). We can choose to avoid multi-tasking and replace it with uni-tasking or sequential tasking instead. * Pay attention to the people and activities most meaningful in your life. As you reach for the digital device, STOP for a moment and reflect on what you might be missing out on. You are physically in their presence, how different could it be being fully in their presence? Can you ditch the iPad for eye contact? Can you replace virtual hugs with real ones? * Practise mindful listening which means not being focused on judging what is being said or what you are going to say next, instead listen with genuine interest and curiosity. Martin Seligman, the founder of the Positive Psychology movement, conducted numerous studies and identified that the foundation of building resilience lies in our support networks, so we encourage you to take time now to plan connecting with those people you would like to spend time with over the holiday season and make sure you hook up. There’s an old saying “If you always do what you’ve always done, you’ll always get what you always got”. We can enter this time of year full of best intentions and look back when nothing changed and say, “ah well, at least I gave it my best”. If you read that again, how do you feel? We know it takes effort to change but with repetition, practice makes permanent and we want to leave you with a vision of your loved ones saying that this time was the most precious they have ever spent. 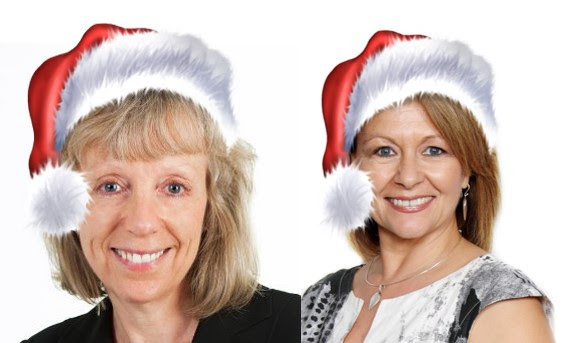 Anne and I would like to take this opportunity to say thank you for your loyalty and custom this year. As always it’s been a pleasure working with you and designing newsletters aimed at bringing a balance of cutting-edge information and practical tools to help you thrive. We wish you the most peaceful and mindful of holiday breaks and see you in 2018.